Oil company Lundin drilled dry in the Hufsa well. It is another setback for the oil industry in the Barents Sea. Drilling at the Hufsa did not prove itself as exciting and thrilling as the ghost-like figure with the same name in the Moomin stories by Finnish writer Tove Jansson. In the story, the Hufsa (in English «the Groke») spreads fear and admiration as she moves around and the ground below her freezes and plants and grass die. In the oil well, it was mostly dry and little sign of awe. The Norwegian Petroleum Directorate informs that neither of the two wells drilled at the Hufsa prospect (7219/12-2 S and 7219/12-2 A) are non-commercial. While the latter was considered dry, the former included a 20 meter natural gas column, the directorate says. It is the fourth and fifth well drilled in license 533, issued to Lundin as part of the 20th License round in 2009. Expectations were high. 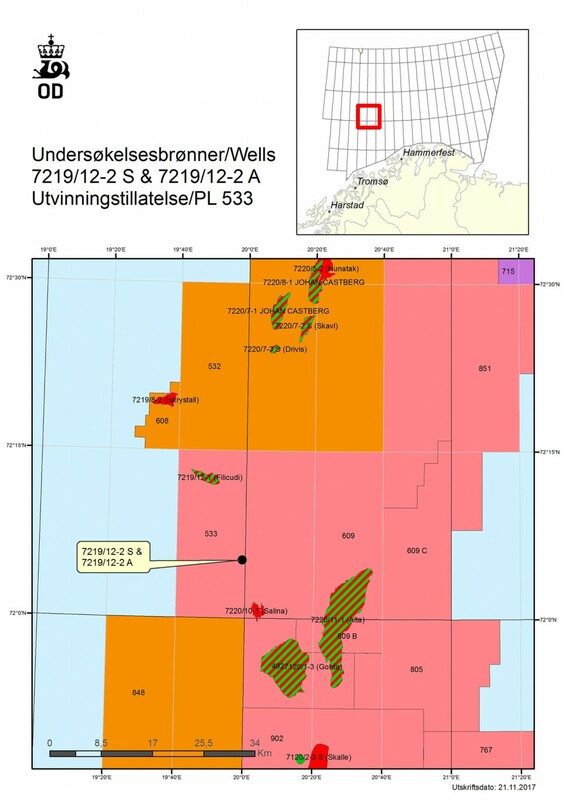 The Hufsa prospect is located only about 20 km from the Alta discovery and 50 km from the Johan Castberg. Lundin has the last years been among the most successful companies in the region. In 2013, it made a significant discovery in the Gohta well and another in 2014 in the nearby Alta well. The two discoveries are both part of the Loppa High structure. «We are making a real commitment in this area because we believe there are significant undiscovered resources here,» Managing Director Kristin Færøvik said earlier this year. The company is making one last shot in the area this year. The semi-submersible drilling rig «Leiv Eiriksson» will now proceed to drill the Hurri prospect, also located in PL533, Lundin informs.